The One and The Only Ones. Peter Perrett has stubbornly remained a cult figure on the British musical scene. The one song of his that has reached a wider audience needed the endorsement of a mobile phone company to extend it’s shelf life. I’m not sure that people who know the song from the commercial know the band who performed it or the guy who wrote it.In 1980 three of us lived on the top floor of a house in Deptford, South London, (living the dream !). Perrett and his group, The Only Ones, along with the Fall, provided the soundtrack to that year. The acerbity of both bands accompanied those early-Thatcher years. If we were gonna meet the 80s head on then we were going to have to toughen up. The Only Ones released three LPs. “Another Girl Another Planet”, a new wave/pop punk anthem, got them noticed but was not a big hit. The song became somewhat of a millstone. They recorded songs the equal of this but big old jaunty anthems about a relationship with heroin were never their stock-in-trade. There was, rather, a laconic, fatalistic theme to the songs. Perrett, a heroin addict, accepted the weakness of taking a moral stance about others and about living while choosing such a destructive lifestyle. “I’m in love with extreme mental torture. I’m in love with the way you hold your head and cry. I’m in love with all these affairs of the heart” . (No Peace for the Wicked). Perrett chronicled the machinations and manipulation of a relationship better than anyone. In “Trouble In the World” he wrote, “If you do happen to be stronger. It only means you take longer to go under”. The mix of romanticism, cynicism and contempt was the perfect riposte to a decade marked by individualism and ego at the expense of communality. The group were standing still and facing diminishing returns by 1981. The drug problems within the band were certainly not helping. On the 8th of March we went to the Lyceum in Central London to say our goodbyes at their final gig. They had played the same venue just the year before. It was a great night. The set they played felt like a greatest hits only there were no hits. On the final night they opened with ” A.G.A.P” and “Trouble in the World”. I remember thinking that in some parallel universe it was these songs and the Ramones singles which were toppermost of the poppermost. At the time our drug of choice for a Sunday night gig was L.S.D. (not as strong in 1981 as it was ten years earlier). I got a little down that I was watching this top band for the last time. After the storming opening Perrett told us all not to be sad about it. OK Peter, whatever you say. Susceptible to suggestion whilst under the influence of hallucinogenics…who me ? It was a memorable night. Every song we wanted to hear got played. “Another Girl” got played again and that was it. It was indeed it for 13 years. Perrett retreated to his home in Forest Hill (just down the road from me) and into his addiction. He showed out irregularly if a junkie friend had a gig. There was an album of demos. We had a bootleg from Amsterdam which got extensive play but really we were left with the three LPs. 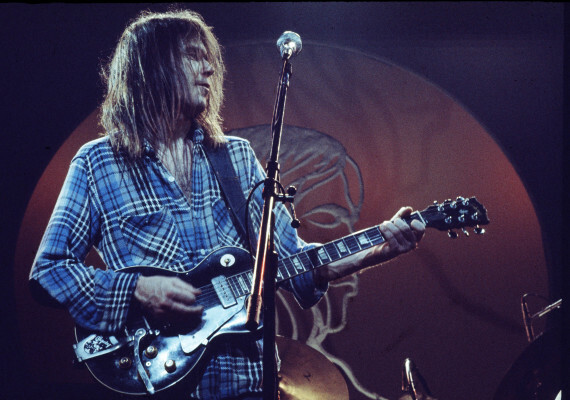 It was not until 1994 that he began to gig again with a new band, The One. He had been invisible for so long, the band received little coverage. I completely missed the LP, released in 1996. If it weren’t Britpop in 1996 then you did not get to hear it. I have only recently come to appreciate the quality of the “Woke Up Sticky” LP. The 21st century re-union did not interest me. As I heard more of The One I could hear some great Perrett songs and it was 20 years since there had been new ones to listen to. I love this clip. Peter got cleaner (clean would be going too far) to promote the album. He is looking well, he has a fine new song to play and a good band to play it. There is a trace of a smile on his face throughout the performance which is so good to see. The nudge of encouragement to Jay, the guitarist, is a sign that all is going better than expected. Perrett always liked a classy rock guitarist on his songs. The music, because of this, is maybe less direct or unconventional than his peers. Me ? I think it makes the songs classic and timeless. Watching this video cheers me that Peter got it together enough to do the new song justice. The second clip from the LP is still outstanding but less cheering. The second fantastic song from the album.Darker than “Woke Up” but a perfect Perrett lyric about a relationship heading for the rocks & little to be done about it. There is love in his songs but it’s usually concerning the difficulty of being so close to another human being rather than a hearts and flowers romanticism. It is obvious that he is back, at least, on the pipe by the time this was filmed. The shots of him lip-synching with the band look almost unusable. he has said that he smoked crack to prevent returning to heroin but then did both. Hey, it’s not a shock, he is a junkie, it’s what they do. The One could not continue with Peter in this state. We were not to see him again until the Only Ones re-union on the back of the phone ads. The money had bought him a new set of teeth, sunglasses to hide the 30 years of abuse. However his South London, Bowiesque, drawl was shot and his voice sounded like he was on helium. 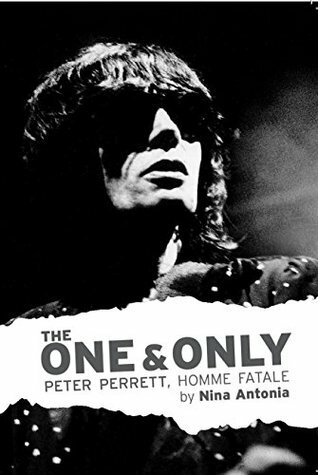 I rate Peter Perrett alongside people like Syd Barrett, Kevin Ayers and Robyn Hitchcock. He is one of the great British renegades. At that final gig it occurred to me that maybe too many of his fans were too out of it to do things like go to a gig. His junkie outlook, his tough love has always seemed authentic to me. His cynical take on life and everything that goes with it was articulated perfectly and he found some damn fine musicians to help him along the way. In a way I don’t really want him to be re-discovered, re-evaluated and regurgitated. I’m happy enough to re-visit the LPs and to get to know those few songs he came up with in the missing years.